Houxty is a large-ish residence which sits on the west bank of the River North Tyne about a mile upstream from Wark. Its supreme claim to fame is that it was the home of well-known naturalist Abel Chapman for the last 30+ years of his life. Chapman, well-educated and widely travelled, was one of those great conundrums of his age: both a keen game hunter and an enthusiastic protector of the natural world. Chapman was born in Bishopwearmouth, Sunderland, in 1851, into a fairly well-to-do family with a long and strong interest in the very areas in which Abel was to excel. He spent his early years learning field-craft in the wilds of Northumberland, where he quickly developed a love of the outdoors. He attended Rugby School, then went into his father’s brewery business (Lambton’s) which enabled him to begin his overseas travels. As the years passed, he journeyed ever more widely, to take in hunting trips to, most notably and initially, Scandinavia and Spain. He co-wrote a book entitled Wild Norway concerning the former, and helped create a nature reserve in the latter – as well as (in Spain) discovering Europe's major breeding ground for the flamingo and saving the Spanish Ibex from extinction. Two books on his Spanish adventures followed. After the family business was sold in 1897, he moved to Houxty in the North Tyne valley where he set about creating his own little nature reserve around his new home. When he moved in in 1898 it was a dilapidated sheep farm, but Chapman loved the spot on account of it being the haunt of blackcock. He rebuilt the house and laid out and managed the gardens, plantations and moorland thereabouts to attract wildlife which he could then study – a set-up which brought many other naturalists to his little estate, as well as a troop of boy scouts who visited him as part of the very first Baden-Powell scouting camp in 1908 who were staying a few miles away (see here). Chapman later developed an interest in South Africa, his experiences there leading him to help form the early incarnation of their still-existing Kruger National Park. 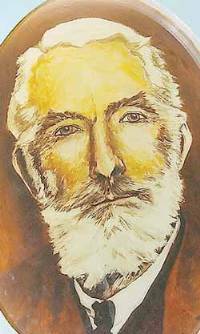 He continued to travel abroad, paradoxically both hunting and preserving wherever he went, wrote many works on his subject matter, and eventually died at Houxty in 1929, aged 77. His last words were “Take care of Dash,” his favourite spaniel. During his hunting days Chapman amassed many wildlife specimens, which now lie scattered across natural history collections in London, Newcastle and his native Sunderland. 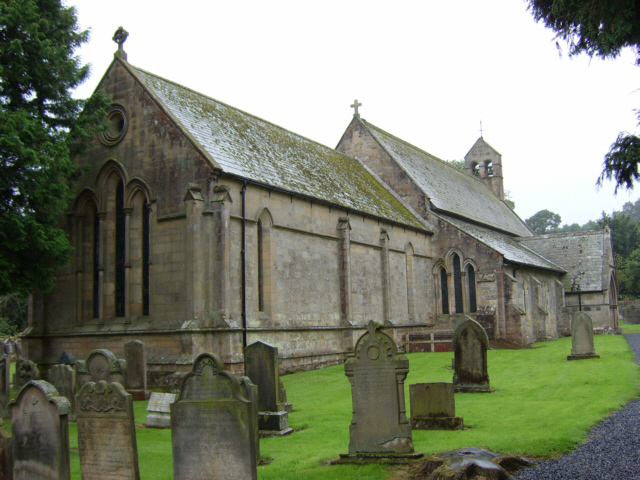 Visitors to the little village of Simonburn in the North Tyne valley often wonder at the size of the settlement’s substantial parish church. For sure, it is a big one, and seemingly out of all proportion to its modest setting. But there is a good reason for the discrepancy, for Simonburn was once the largest parish in England. Prior to an Act of Parliament of 1811 – which, when enacted in 1814, split the parish into several splinters – this sparsely populated ecclesiastical unit covered a whopping 260 square miles! And considering that this huge area has only ever contained around 1,000 folk, well, that is one long trudge into church every Sunday for some very lonely people. It was known, for obvious reasons, as ‘The Great Parish’, and stretched from Hadrian’s Wall in the south to Carter Bar on the Scottish Border – some 30 miles in length and 14 miles wide. It is believed that the parish boundaries were established in 1072 by Bishop Walcher of Durham during the re-organisation of his diocese (which then included Northumberland). The 1811-14 division saw the creation of Wark, Bellingham, Greystead, Thorneyburn and Falstone out of the ancient parish – with Humshaugh & Haughton (a single entity) following in 1832. So, seven parishes out of one! At its heart lies the mother church, St.Mungo’s, with roots stretching back, we think, to the 6th or 7th century (though the earliest stonework probably dates from the 9th century). It was then that the aforementioned St.Mungo was on his travels after having been ousted from his cell at Glasgow by the pagan King Morken. Some sources even suggest that the church’s founding may stretch back to St.Ninian, who died in the early 5th century. The current church, obviously much altered over the years, extends over a slope and has a distinct list as a result. Near the bank of the River North Tyne a little to the north of Humshaugh stands Haughton Castle and its associated buildings. On the riverbank itself can be found the remains of an old paper mill, built by Captain William Smith, the owner of the nearby castle, in 1788. The flow of the river here is steady and strong, which is just what you’re looking for if you’re a mill owner. It is also rather remote, which is not always good for communications – but it is good for sneaky goings-on. And, in 1793, just five years after its construction, Haughton Castle Mill was commissioned by the British government for a rather special assignment: it was instructed to produce the paper required for the printing of counterfeit French currency. There’d been the little matter of the French Revolution, of course, in 1789, and the new revolutionary government was struggling to find its feet. One of its most controversial measures was to introduce as a new currency the ‘Assignat’, backed by the value of property seized from the Catholic Church. Obviously, the Church wasn’t too happy about this illegal seizure and they, together with what was left of the French nobility, opposed the new currency system. To add to the new regime’s woes many foreign countries began producing forged assignats to flood the market and thus destabilise the French economy. Belgium, Switzerland and Britain were at the forefront in this regard, and one of the many paper mills chosen for the project was that on the bank of the North Tyne at Haughton. Its remoteness no doubt contributed to its selection and, for around two years during 1793-95, a good deal of the paper with which the dodgy notes were made was turned out here. The printing process was carried out elsewhere, though; then the notes were sent to Flanders with the British Army. By the many and various anti-assignat methods thus employed across Europe, the new-fangled French revolutionary currency was indeed brought down. Introduced in 1789, it devalued steadily and was scrapped in 1796. By the time Napoleon I became emperor in 1804 it was a distant memory. So you could argue that the undercover activity at Haughton Castle Mill in the 1790s helped bring the little dictator to power. One of the moulds for making the paper notes still survives and is in the possession of the Society of Antiquaries of Newcastle upon Tyne. The mill itself had fallen out of use by the 1880s, though much of the fabric of the building survives. Chesters Roman Fort, Bath House and Museum is one of those must-see sites of antiquity on Hadrian’s Wall. It has much of interest to offer the tourist, though, as with any ruinous historical attraction, it is as well to do a little homework beforehand to truly get the most from your visit. Perhaps the oddest (and, well, yes, plain funny) ‘points’ of interest is the bold-as-brass phallic symbol to found in the central Headquarters building of the fort itself. There it sits in full view on a paving slab on the western side of the courtyard on a slightly raised circular boss, as if to emphasise its importance. All it does these days, of course, is to elicit a giggle or two and to be the subject of an innocent enquiry from a small child to their embarrassed parent. 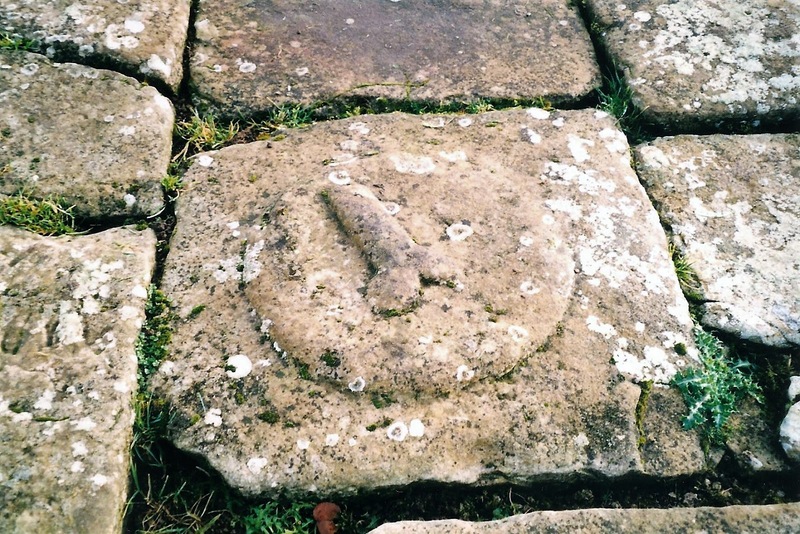 It is not the only carving of its type at Chesters (there is another one, half buried, on the north wing of the bridge abutment, and a third in the Bath House), and there are plenty more elsewhere along the Wall. The fact is that these are not merely smutty items of 3D graffiti – but rather they actually mean something and were part of the Roman belief system. Put simply, the phallic symbol represented good fortune and protection against evil spirits. Depending on its location, the meaning would be slightly different. A symbol found near a bridge or water may mean protection against flood, for example; though it is difficult to offer an explanation for the siting of what is, after all, a rather large example in the HQ block! 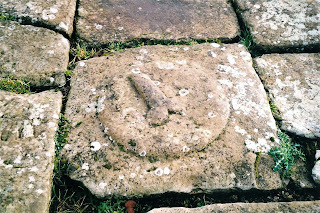 It all no doubt stems from the quite literal representative use of the phallus, being that of fertility – the Romans celebrating Liberalia every 17th March with the phallus at the centre of proceedings and concerned (among other things) with the blessing of the year’s crops. For the etymologically minded among you, these sorts of carvings are known as ‘phallic petrosomatoglyphs’, from the Greek words for ‘stone’, ‘body’ and ‘to carve’. St.Oswald’s Church in the distance. The ‘Golden Age’ of Northumbria – the period of Dark Age cultural and military supremacy which spanned, roughly, the mid-seventh to the mid-eighth centuries – was probably the proudest phase of North-Eastern history. Out of this tumultuous century or so came the writings of Bede and the Lindisfarne Gospels (among other spectacular outpourings). 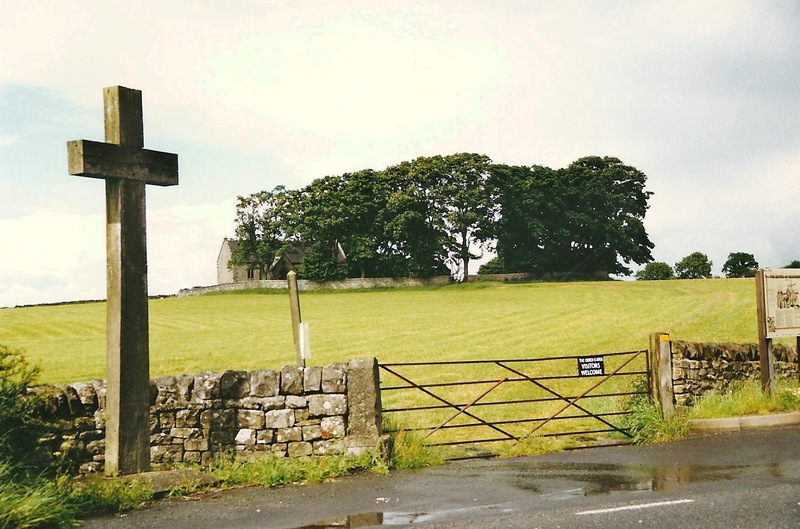 And, as is so often the case with such epochs, it all came about as a direct result of a victory in the field – in this case the Battle of Heavenfield. After the death of Edwin, king of Northumbria, in 632, the struggle was on for the overlordship of the English Heptarchy. Edwin had been the most prominent ruler of this patchwork of kingdoms which then existed in the land, and his demise very much put the cat squarely among the pigeons. Cadwallon, king of the Britons (Welsh) and Penda, a prominent Mercian prince – both of whom had scores to settle with the house of Northumbria – then unified in an alliance against the great northern kingdom. In the months following Edwin’s death, Northumbria was largely laid waste by this troublesome pair. After months of turmoil, Oswald emerged from his long exile on Iona to seize the Northumbrian throne (his dynastic foes, Edwin and his sons, having been slain). Oswald, a son of Aethelfrith – who had ruled in Northumbria before Edwin – had grown up among the monastic community of Iona together with his younger brother, Oswy. They were both Christians of the Celtic/Irish bent, and determined that their father’s kingdom must be saved from pending collapse. Before Oswald could take the crown, though, Cadwallon and Penda would have to be swept from their old lands. So, in late 633 (or 634), Oswald marched south with his warband – a motley collection of on-loan Pictish warriors and Irish monks, together with a few hundred Northumbrians which he was able to pick up on the journey south – until he reached the Roman Wall a little to the east of Chollerford. Cadwallon, on the other hand, moved north up Dere Street and along the Wall to the same point. It is likely that Penda did not take part in this phase of the war, though some of his forces may have been involved. On the night before the battle, Oswald experienced a vision of St.Columba, who promised heavenly support for the young Northumbrian. A cross was erected before the battle, too, around which Oswald rallied his troops. Oswald’s subsequent attack – probably at night – proved devastating, and the Welsh were defeated with surprising ease. Using nearby Brady’s Crag and the Wall itself to their strategic benefit, the Northumbrians were able to nullify their numerical disadvantage – Cadwallon himself being slain in the rout, forever since known as the Battle of Heavenfield. … And hence laying the foundation for our ‘Golden Age’.